Nine races. Three handicappers. Twenty-two-year-old Ant has one day to turn his luck around amidst the economic depression of his dying hometown, one day to save his family, one day to save himself. 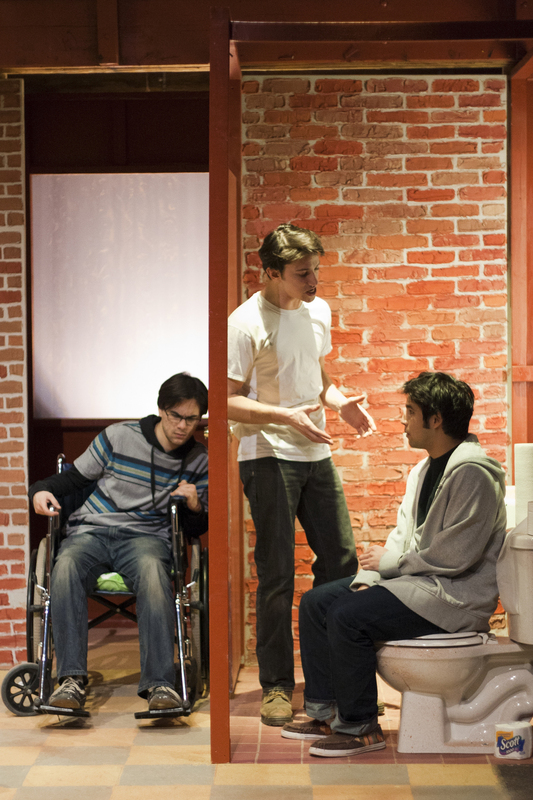 Handicapping is a play about getting out and growing up. Kyle Blanchette (Ant) is thrilled to be making his Fresh Ink debut. Previous area credits include Steve in A Streetcar Named Desire with Wax Wings and Atticus Finch/Lord Capulet in To Kill A Mockingbird and Romeo & Juliet with New Rep's Classic Repertory Company. 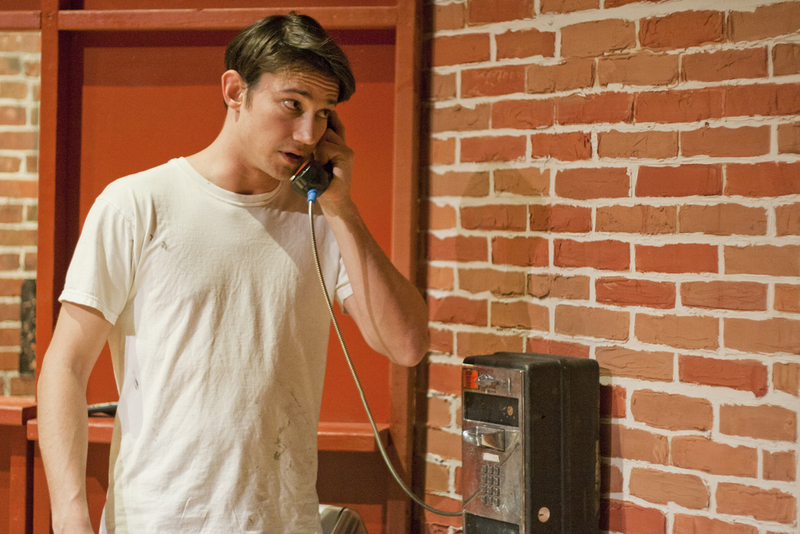 Some of Kyle's favorite roles are Tom in Grace and Borachio in Much Ado About Nothing with the Gamm Theater in RI. Kyle would like to thank this amazing cast, Tyler for giving us the freedom to play, the friends he's made since moving here, and his parents for their constant love and support. Jaclyn Johnson (Angie) is thrilled to be making her debut with Fresh Ink Theatre. A native of Cleveland, Ohio, Jaclyn is happy to be working in Boston. Recent New England credits include No More Hog Jowls at the Jim Crow Counter (Gan-e-meed Theatre Project) and One Billion Rising (Our Place Theatre). Jaclyn graduated from Tufts University with a B.A. in Drama and French. Thank you to James McLindon for writing such an amazing play. She would also like to thank the wonderful cast and crew for all of their hard work on this production. Jaclyn's performance is dedicated to the memory of her late father, Johnny Johnson, who recently passed away. He always believed in Jaclyn and encouraged her to pursue her dreams. I love you dad. From Springfield NJ, Alex Roy (Vin) studied theatre at Roanoke College. For the last couple years he has been working in Boston as an actor/director. Usually found behind the scenes as part of production teams, he has worked with and performed for groups like Wheelock Family Theatre, Fort Point Theatre Channel, and Apollinaire Theater. He is an Artistic Associate of Science Fiction Theatre with whom he worked on several productions including On Ego, The Man in the Couch, and Solace. Notable roles include The Officer (Good Person of Setzuan), Sam (The Man in the Couch), Mortimer the Man who Dies (The Fantasticks), and Peck Johnson (Rimers of Eldritch). He is incredibly excited to be bringing this new work to life with Fresh Ink. It has been an amazing experience working on this production! Laurie Singletary’s (Prof. Dunne) performing career spans nearly thirty-five years. She is thrilled to be working with Fresh Ink Theatre and Director Tyler Monroe for the first time. Most recently, she was seen in two productions at Boston Actors Theater, Twins and Thinking of You. She is a member of StageSource and is honored to be the newest member of Boston Actors Theater with whom she will appear in an adaptation of Oscar Wilde short stories in June 2014. During the day, Laurie works at a world-changing non-profit organization and is Mom to three brilliant and talented children (OK, two of them are fully adult). She lives in Cambridge with her husband Damon, who is also an actor. This is Gideon's (Terry) first production with Fresh Ink after the Boston Theater Marathon and Mad Dash festivals. He's appeared throughout Boston's fringe scene, including with Fiasco Productions, the Gold Dust Orphans, and Apollinaire. He co-everything-ed N/A Theater's Mindy & Brenda with Andrew Gerst and is a proud alum of MCASB and Emerson. See him monthly in live sitcoms with Comedycazi in Davis Square and on the Freedom Trail as the lively smith of tin and story, James Blake.